Slate is a rock that has been used to create tile flooring and roofing for several hundred years. If you are replacing your floor or roof, this may leave you with a great deal of extra slate tiles hanging around. Instead of throwing these beautiful pieces of rock away, there are several craft projects that you can complete with the tiles. If these tiles have been exposed to the elements for many years, make sure to thoroughly clean them before handling them for the craft projects. Slate tiles can be used for crafting. Decoupage is the attachment of paper items such as photos, graphics and magazine cutouts to wood, metal, stone or any other surfaces. Decoupage projects require a special glue (for example, Modge Podge) or a combination of glue and water (typically 3/4 glue and 1/4 water). Find a collection of paper items that you would like to attach to your slate tile. If you are using a photo, it is best to attach a copy of the photo to the tile as the decoupage process is quite permanent. You can also use other paper items such as wrapping paper, newspaper and wallpaper prints on the slate tiles. Use a foam brush to apply the paper to the tile, press and hold for a few seconds and let it dry. You can add some polyurethane to make the paper and tile look shiny and polished. A trivet is a device that can be used to protect your floors from furniture or as a hot plate for dishes to protect your tables. All you need for this project is to purchase self-adhesive pads to put at the four ends of each tile. Find as many different shades of slate tiles as you can as several different colors will make your tables vibrant with color. These tiles can be decorated as you please, although you must keep in mind that the trivets used for hot plates will be receiving a lot of temperature wear and tear and it may damage your design. One of the most professional ways to create a welcome sign from a slate tile involves etching your welcome directly into the tile. Since most people do not have access to etching equipment, you can do just as well by painting your welcome onto the tile. Create an elaborate design by painting animals, plants or symbols that relate to you and your family around the edges. In the center, use a stencil to paint a big welcome in the center. You can also use this project to create an address sign. 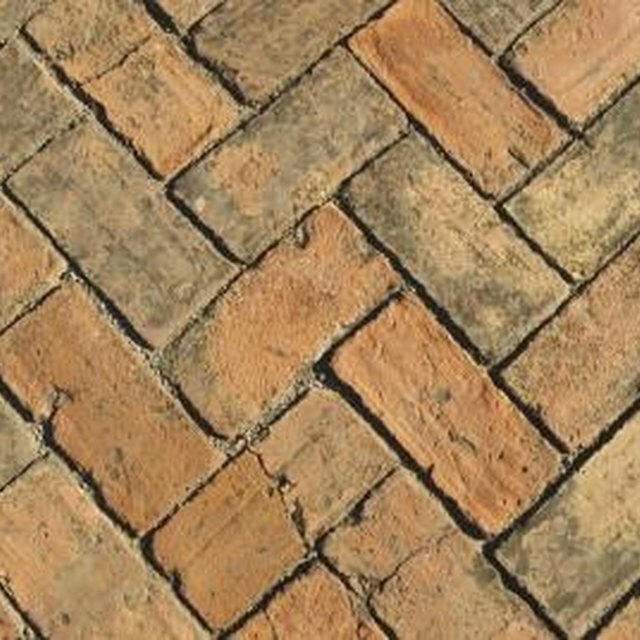 If one slate tile is not large enough, you can always have the sign span across two or more tiles connected by wire or string. If you are creating a craft project for younger or inexperienced crafters, you may wish to add decals and appliques to a slate tile. These items come in many different themes and they are somewhat like adding stickers to a piece of paper. Younger children will enjoy getting to work with the material, but make sure to only give them tiles that have no sharp edges. Explain to them that they need to be careful with the tiles to avoid breaking them. What Colors Go With Beige Tiles in a Bathroom?